The commandment "Thou shalt not make unto thee a graven image" has had a great impact on Jewish culture, resulting in a clear preference for words over images. In this chapter we explore the tension between this commandment and the profession that depends so on the visual image. 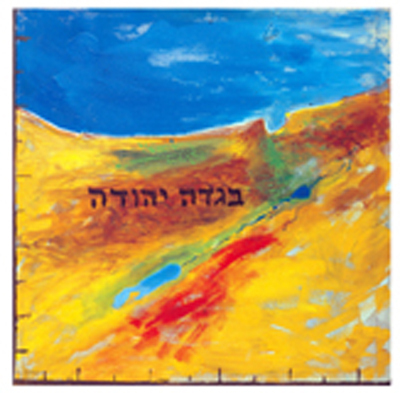 Artists in the chapter (in an alphabetical order): Avraham Ofek, Anisa Ashkar, Arie Aroch, David Tartakover, David Reeb, Hila Lulu Lin, Jennifer Bar Lev, Meir Gur Arie, Michael Sgan Cohen, Michail Grobman, Michal Na'aman, Mordechai Ardon, Moshe Castel, Moshe Gershuni, Nachum Tevet, Raffi Lavie, Yair Garbuz, Ze'ev Raban and others.